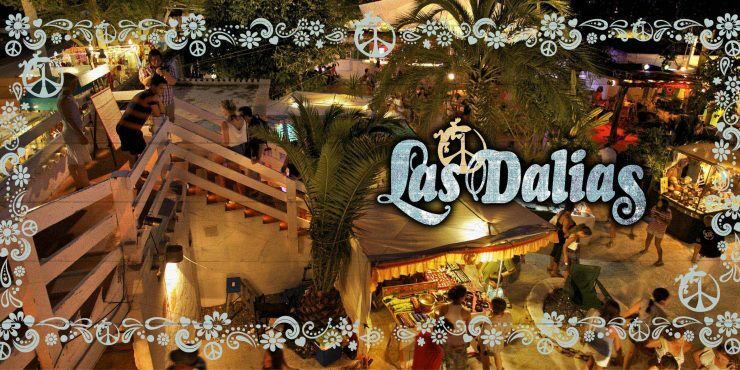 Las Dalias Hippy Market takes place every Saturday, with thousands of people coming to visit it particularly between 1st May and 31st October. In this market you will find a whole world of Adlib clothing, costume jewellery, sandalwood, exotic musical instruments, ethnic music CDs, jewellery, decorative fabrics, little figures, Hindu antiques, wrap-around pareus, books and much more. In the market area there is also a restaurant and some cafes where you will be able to taste freshly squeezed juices or Arab cakes. Las Dalias venue, which has been host to historical concerts, still serves as a meeting point for all the artists of the island. During summer Friday nights painters and sculptors exhibit their work in an open-air area. Around Christmas time the indoor market remains open to the public with furniture, gifts, crafts and fashion clothing. How to get there There is a taxi rank in the market area. There are also buses going from Santa Eulària to Sant Carles. However, there are only a few during the day and are usually packed. Tour operators and many hotels offer a transport service to the market. The most commonly used form of transport is the private car. There are three parking areas for visitors. Two of them are privately owned and are pay car parks. There is also a parking area behind Las Dalias which is free. Although banks are closed on Saturdays in Sant Carles, there are several cash points in this town. There are also plenty of ATMs in Santa Eulària. July: Monday and Tuesday from 19 h.
August: Monday, Tuesday and Sunday from 19 h.